Cigars are a right of passage for some, and a celebration for others. Whether you’re an experienced cigar smoker or a newbie to the humidor, Smokers Choice is dedicated to providing you with the right information about quality products. Stop into one of our locations and experience our giant humidors with hundreds of selections of cigars! A small signature label that is wrapped around the head (also known as the ring). Another word for the body of a cigar (also known as the cannon). The leaf that is rolled around the tobacco to hold it together. The “recipe” (blend of tobacco) that gives the cigar it’s characteristic flavor. The end of the cigar you light. 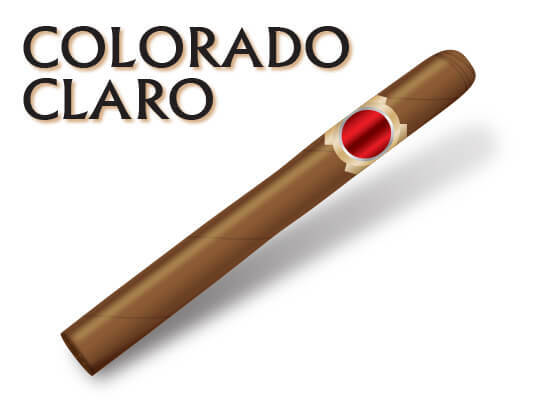 A cigar style in which the head is flat. This is customary in premium Cuban cigars. 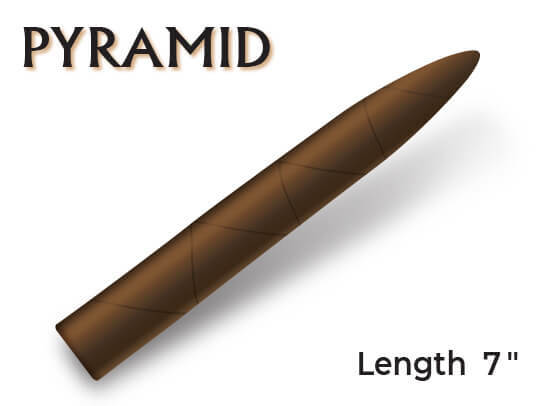 Any shaped cigar that is not the standard cylinder shape with parallel sides and a rounded head. The end of the cigar that is clipped. A humidity-controlled box or room that is used for storing cigars. A cigar whose filler, binder, and wrapper are made from tobacco grown in the same country. A handmade cigar with 100% high-grade tobacco and long filler. A cigar that is only made for one company and sold exclusively by them. 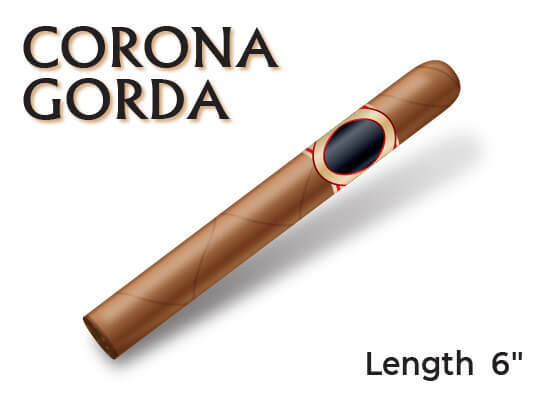 The unit of measurement used to calibrate the diameter of a cigar. Each measurement is divided into 1/64th of an inch, so for example, a cigar with a 32 ring is 32/64ths of an inch, or ½ inch. A handheld device with a premeasured hole to determine if a cigar has been rolled to the accurate diameter. A generic term to describe any cigar. Cigars come in many shapes, sizes, and colors. The tobaccos used in the cigar will determine the strength and flavor while the different sizes and shapes will determine how long the cigar will last. Different brands will offer different sizes and shapes of their cigars. 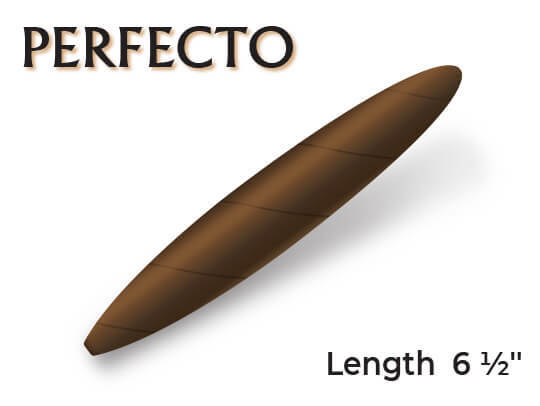 Cigar lengths are measured in inches but the diameter is measured in 64ths of an inch. So a Toro, 6x50 would be 6 inches long with a diameter of 50/64ths. Cigars also come in a variety of colors or shades that will also influence flavor and strength. Scroll through the images below for a detailed description of each of the varieties. A classic mid-sized cigar; 5.5 - 6 inches with a 42-44 ring gauge. 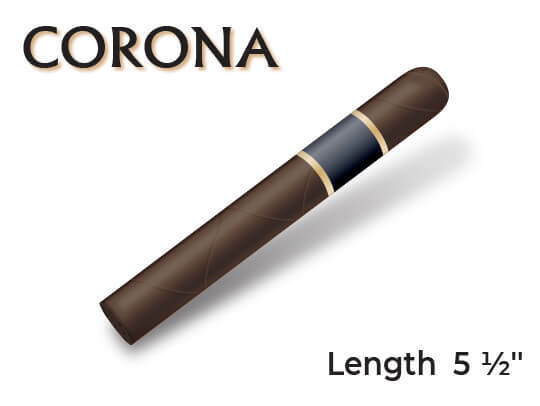 A smaller version of the corona, measures about 4.5 inches with a ing gauge of 40-42. 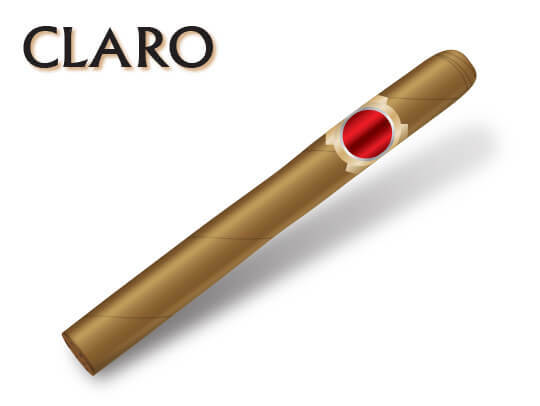 Also called a Toro, this cigar is ~6 inches with a 46-50 inch ring gauge. 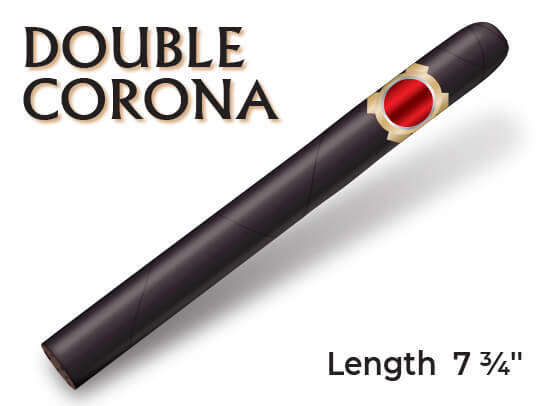 This cigar is 7.5 - 8.5 inches in length with a 49-52 inch ring gauge. 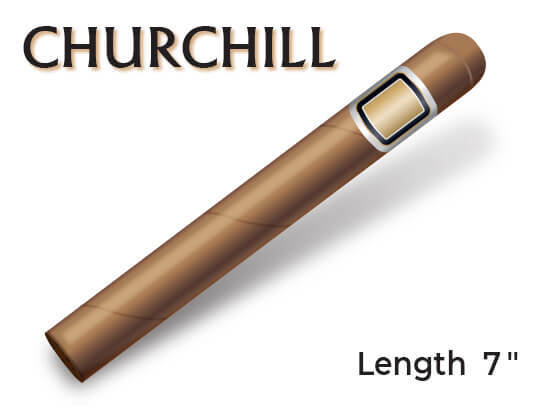 One of the classic cigar sizes; 7 inches with a 47 ring size, named after Winston Churchill. 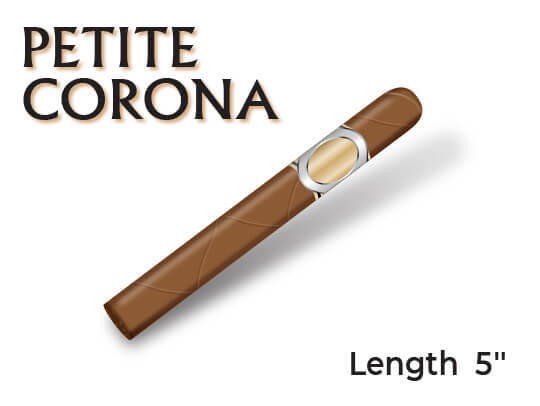 The most popular size in America; a short, stocky cigar usually 4.75 - 5.5 inches with a 48-52 ring gauge. 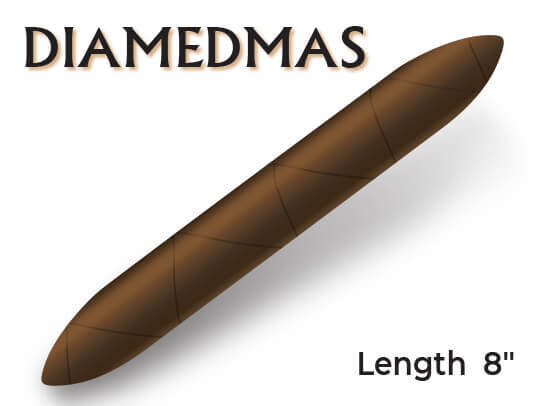 A classic shaped cigar, long and thing. 5 to 7.5 inches with a 34-38 ring gauge. 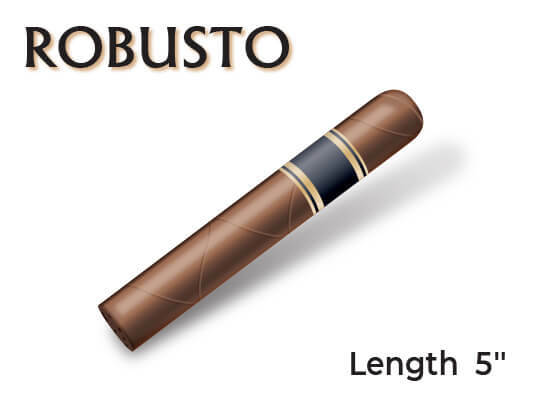 A classic cigar size; usually 6.25 - 6.5 inches with a ring gauge of 42-44. 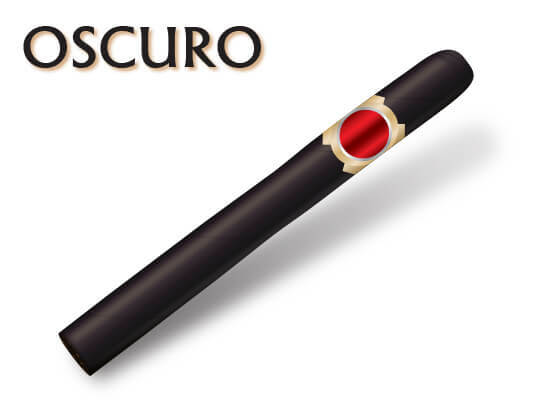 A cigar that goes from a narrow ring size at the head and gradually flares out to a large foot (not to be confused with a torpedo). A thick shaped cigar with a ring gauge of 50 or more. 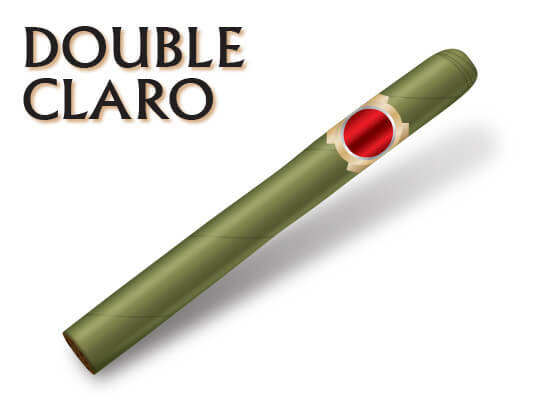 A cigar whose body flares and then narrows near the foot. 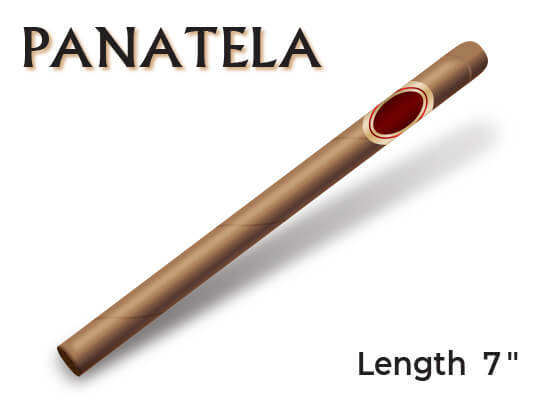 An all-time classic; a straight cigar with a tapered end. 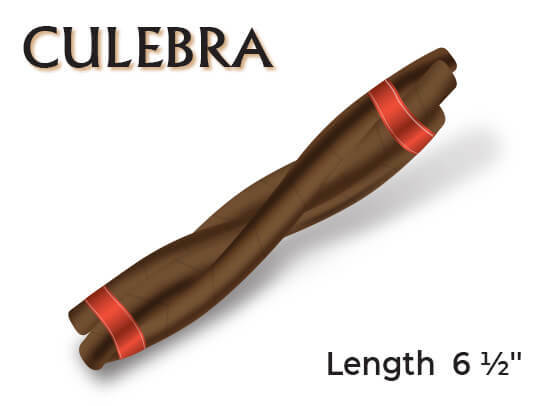 The most exotic shaped cigar; three smaller cigars braided together to create one. The “snake” in Spanish. 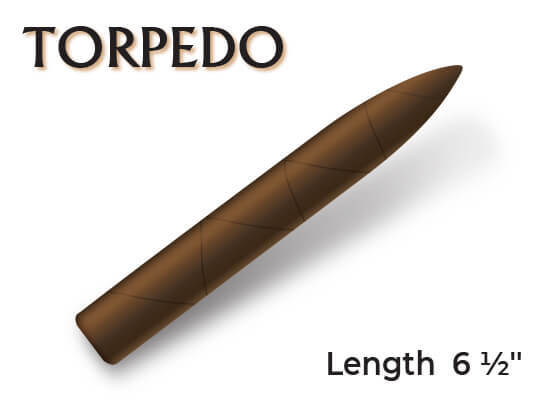 A large shaped cigar, or torpedo shape. Atleast 8 inches long with a ring gauge of 40 near the head, with 52-54 tapering at the end. A light tan color. These tobacco leaves are grown in shade under cheesecloth tents and picked early to air-dry. A pale green to light tan color, this hue is created by a quick-drying process using heat to lock in the chlorophyll in the tobacco leaf. Medium brown to brownish red with a full flavor. These leaves are usually grown in the shade. A medium-brown to red shaded wrapper grown in direct sunlight for extended periods of time (also known as natural). Darker than a Colorado but lighter than a Maduro. A dark-brown color, sometimes appearing black. Leaves are toasted at high temperatures, giving a robust but sweet flavor. Cigars are delicate creatures, their wrappers can dry out and crack making for an unpleasant smoke. If you’re going to smoke cigars, you’ll need to know how to store and care for them properly. Store between 70°F and 73-74% humidity. It’s recommended that you buy and keep your cigars in a humidor, especially if you are going to be saving and collecting different types. Dampen, NOT saturate, a paper towel with water. Place the paper towel with the cigar in a plastic bag and put it in the crisper of you fridge (where the veggies go). You can also store it in a cool and dark place, such as your closet. This can preserve cigars for a small amount of time. Note: This technique works with cigars that are still in the cellophane. Without the plastic covering your cigar, the paper towel will ruin the tobacco wrapper. Always buy the best kind of humidor you can afford. Cheap models don’t regulate your humidity and temperature well, decreasing the longevity of your cigars. It’s also always better to buy one bigger than you need so that you don’t run out of room too quickly. When purchasing a humidor, make sure the lid closes securely and no air can escape. A humidor with a hygrometer is best because it can measure the amount of moisture that’s contained. After you purchase your humidor, many manufacturers make the recommendation of lightly applying propylene glycol to the walls of your humidor to help stabilize the humidity. This isn’t required, however, it can help prevent the formation of mold and bacteria. Investing in humidors may seem costly and like a lot of work, but at the end of the day is so worth it. There is nothing like taking out a fresh cigar from your humidor and enjoying it with a beer or spirit! Don’t like what you see? There’s other ways to get your nicotine fix. Make the switch to vaping and enjoy the variety tastes and flavors! Visit our Quitting page to get started.